There seems to be an issue with the original release date of this album. According to the liner notes and copyright information of the 2013 reissue by FiveDayWeekend (FDW7711-LP), the LP first came out in 1967 (Columbia CS 9501) instead of 1968 as was previously stated on Discogs.com. While the original stereo pressing of the album does not state an issue or copyright date, the 2013 reissue very clearly states "© 1967, 2013 Sony Music Entertainment / Originally released 1967". Recordings for the LP took place in New York City in April and May, 1967. 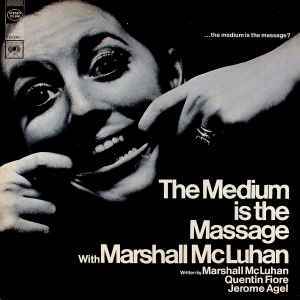 The LP release date 1967 is independently corroborated by McLuhan's biographer Philip Marchand, in his book "Marshall McLuhan: The Medium and the Message", Toronto: Random House 1989, p. 193. Jeffrey T. Schnapp and Adam Michaels equally document mid-1967 as the LP's release date in their book "The Electric Information Age Book: McLuhan/Agel/Fiore and the Experimental Paperback", New York: Princeton Architectural Press 2012, p. 57.